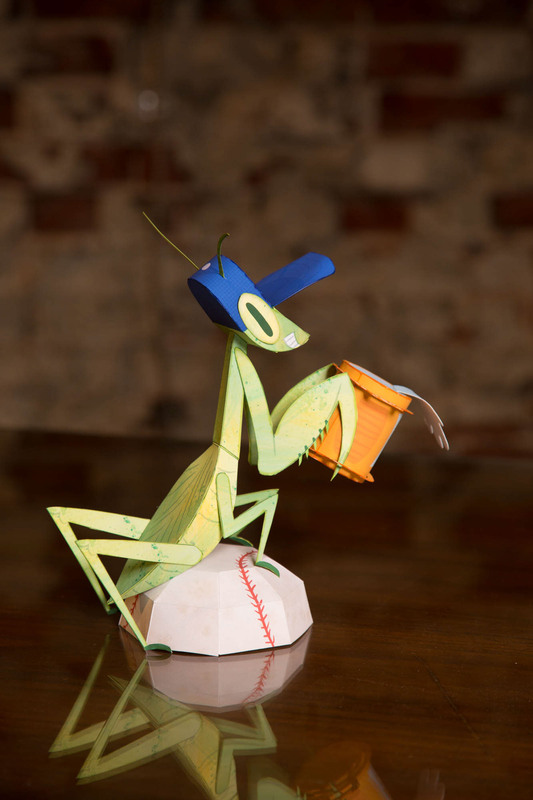 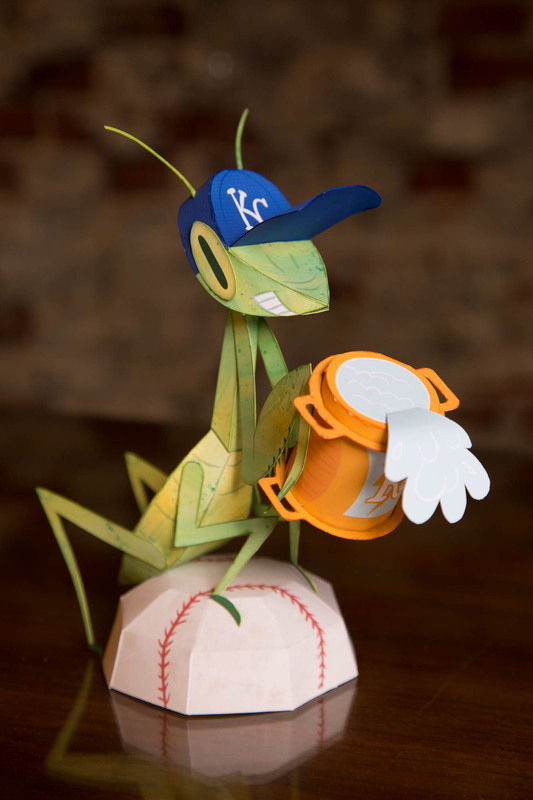 Rally Mantis papertoy. 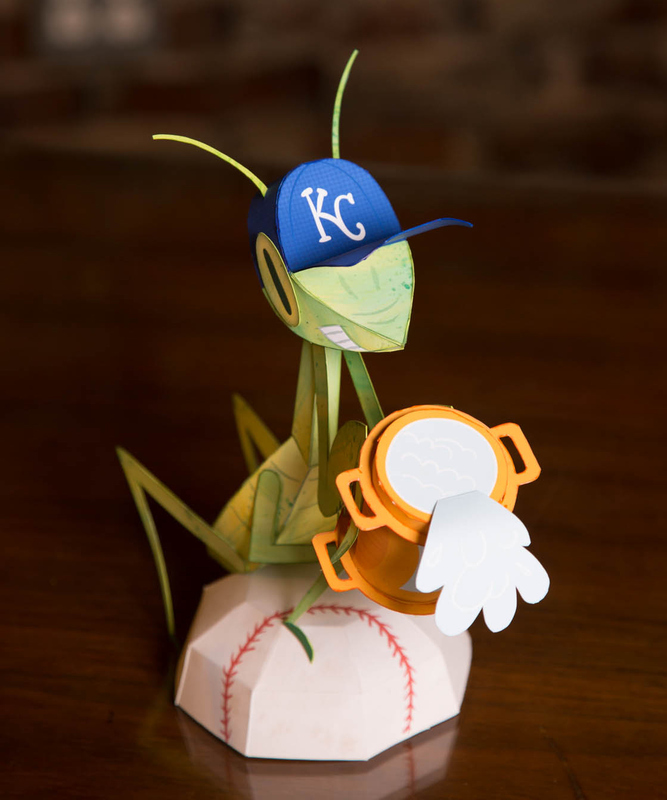 A little fan art for my hometown team the Kansas City Royals. 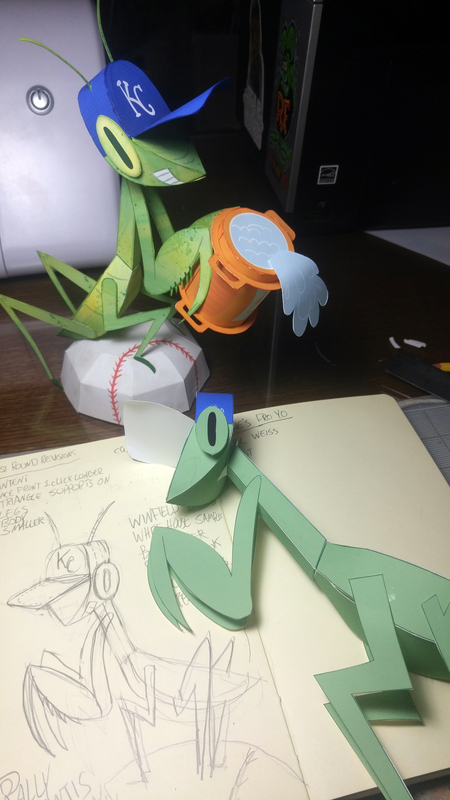 Rally Mantis from rough sketch to rough mock-up to final piece.